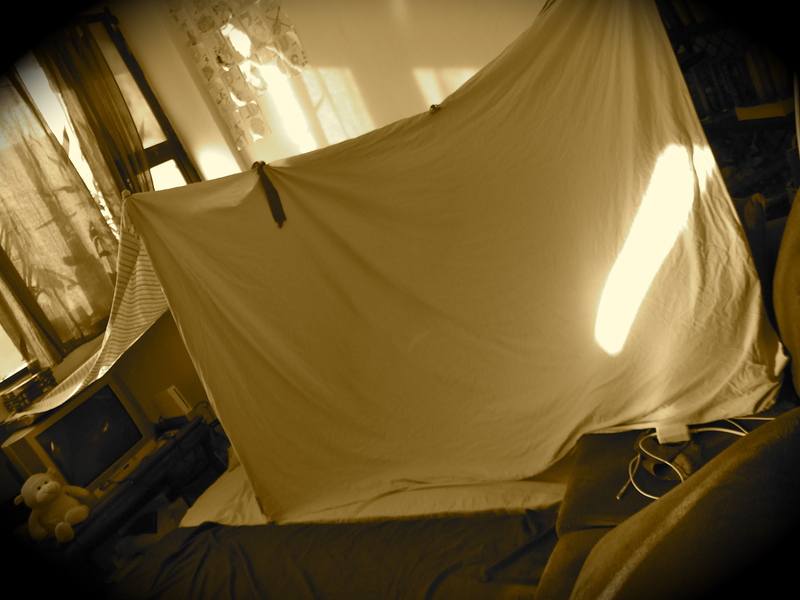 This month has been one big holiday… first Rosh HaShana then Yom Kippur, and now Sukkot. 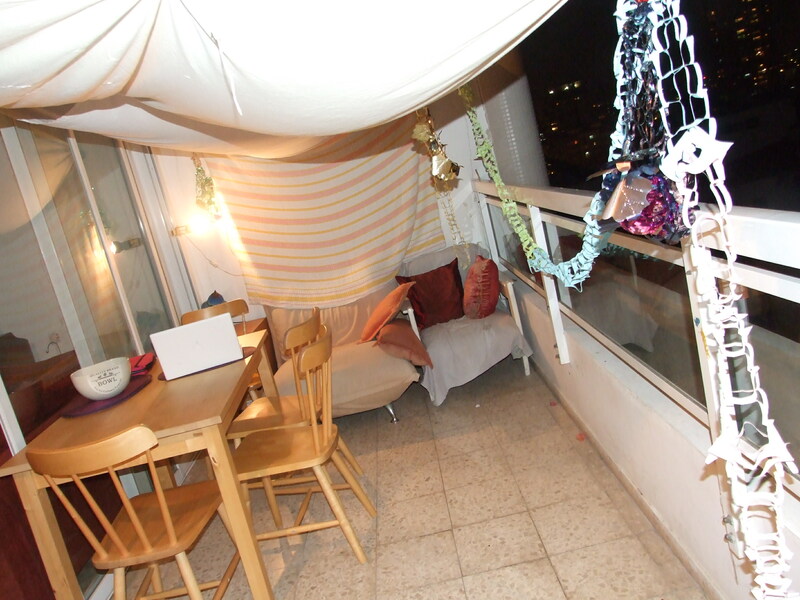 Last year at this time I was in my old apartment in Ramat Gan, and my flat-mate turned our varanda into a beautiful Sukkah. This year I have no varanda, so I wasn’t really going to do anything for Sukkot until inspiration struck early this morning. 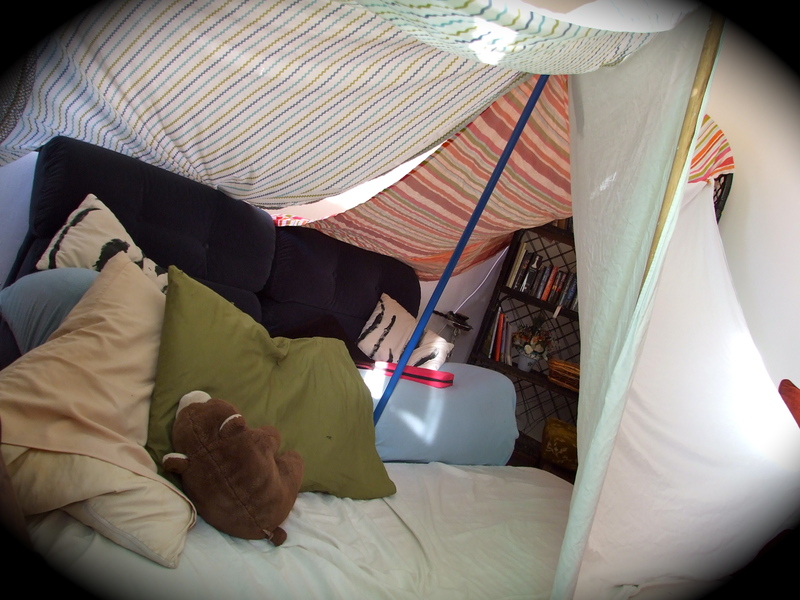 The sukkah is a temporary dwelling of remembrance (click here to read last years post explaining the meaning and origin of this Jewish Holiday); therefore, I’m making my temporary dwelling in my living room…. Chag Semeach Everyone!!! חג סוכות שמח! שנה טובה! 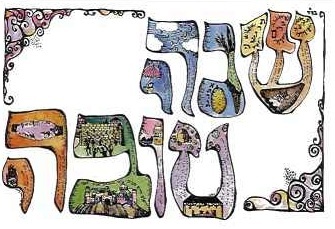 Happy Jewish New Year! Today is the Jewish Holiday, Rosh Hashana, the New Year. This Jewish year is 5771… as you can see a bit older than our current 2010. 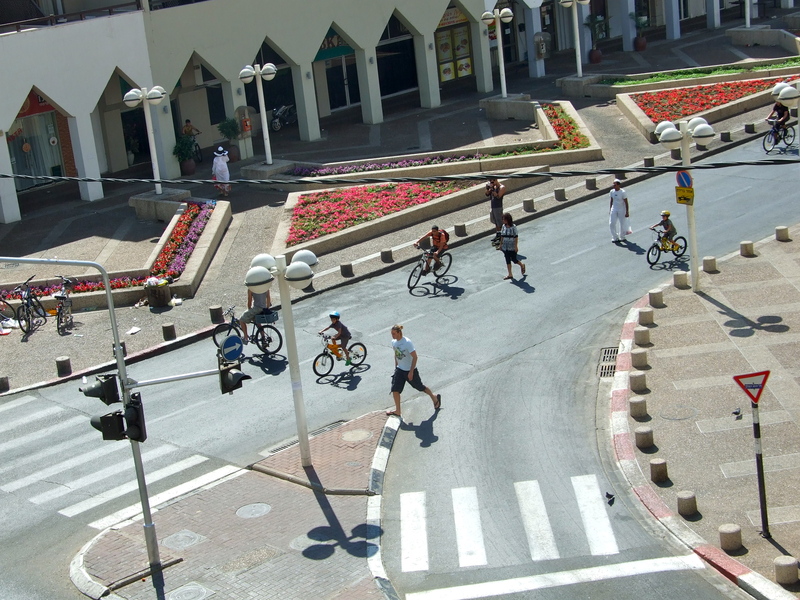 One thing I love about living in Israel has been learning more about the rich Jewish culture I am apart of. Bringing in the new year with apples, honey, and pomegranates are a few things we eat as well as hearing the shofar blowing across the land. 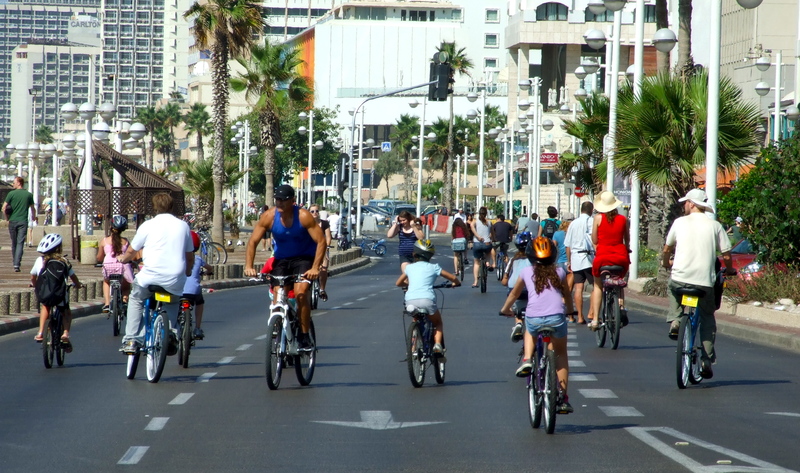 In honor of the celebration and the New Year, I am spending a few days up north in Haifa, to get away for the busyness and craziness of Tel Aviv. I didn’t hear too many shofars blowing up here last night, but I did hear lots of booming firecrackers. As most of you are beginning a new school year back home, and fall is approaching, it’s a new season for you as well…. even if it doesn’t involve a new calendar year. So, Happy New Year from the Holy Land… lets make this one a great one! 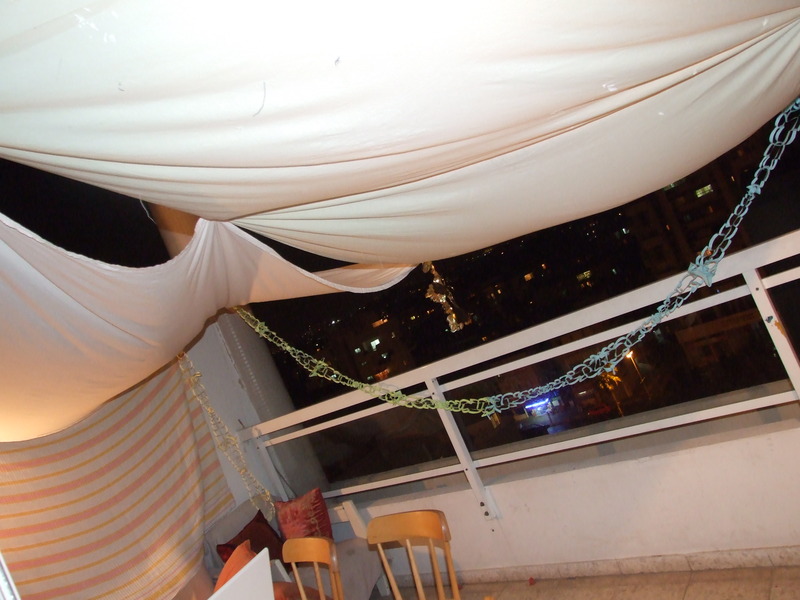 Tonight was the last night of the 7 day holiday celebrated in Israel called Sukkot. Since I was back in the States during the beginning of it, I missed out on the festivities my flat-mates held at our apartment. During Sukkot (aka: The Feast of the Tabernacles found in Lev. 23:33-44) Israeli’s are called to remember the time in which the Israelites wandered in the desert for 40 years, with no permanent house dwelling. 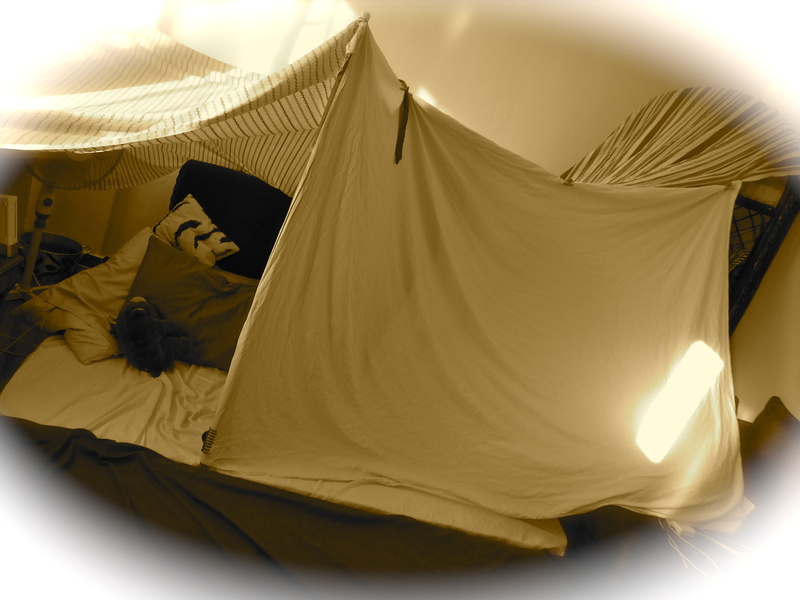 The word Sukkot is the plural form of the Hebrew word, Sukka, which means booth or hut, in remembrance of the fragile dwellings the Israelites lived in during these times. Happy Last day of Sukkot! Starting at 5pm tonight (Thursday) we celebrate yet another holiday, The Feast of Weeks, or Pentecost as its called in the states. It comes exactly 50 days after Passover, which is now! It marks the giving of the Torah to Israel on Mount Sinai. How does The Feast of Weeks overlap with Pentecost. Well, after the crucifixion of Jesus, the disciples had gathered together to celebrate the festival (as good Jewish would) when what was known as the outpouring of the Holy Spirit came upon them and tongues of fire rested above their heads. And here I was wondering what I would do with all my extra matza from Pesach…..